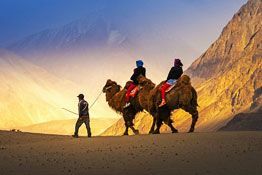 Leh Ladakh, nestled in the mountains of the Himalayas and the Karakoram offers an excellent trekking opportunity to adventure enthusiasts. 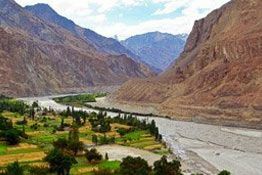 This 7 nights and 8 days Indus valley trekking tour is going to give you a chance to enjoy trekking on some of the most famous trekking routes located at high altitudes. 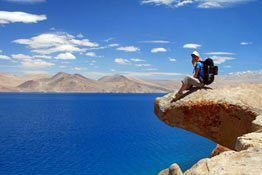 One of the highlights of this tour is a visit to a number of ancient monasteries, such as Shey, Thiksey, Hemis Likir, Ridzong etc. out of these, Hemis is probably the most famous one as it is the largest and the richest of all the other monasteries of Ladakh. On arrival, get an assisted transfer to the hotel for relaxing and getting accustomed to the high altitudes. Evening is booked for leisure activities and shopping. Overnight at the hotel. 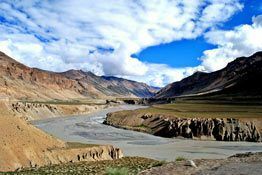 Day 2 is booked for the sightseeing, covering a few ancient and well-known monasteries like Shey Gompa (built during the 17th century), situated around 15 kms from Leh, that include the Shey Palace and the Dresthang Gompa. Later visit Thiksey Gompa, one of the most beautiful ones. 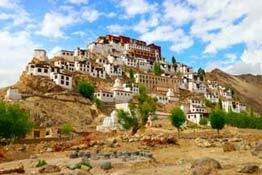 Now it is Hemis monastery, the richest one in in Ladakh, founded in the early 17th century. Return to the hotel for an overnight stay. In the morning, hit the road to reach Likir. On arrival check-in at the camp. Later visit, Likir Gompa, established around the 15th century. It is home to around 125 Lamas. Return to the camp for an overnight stay. 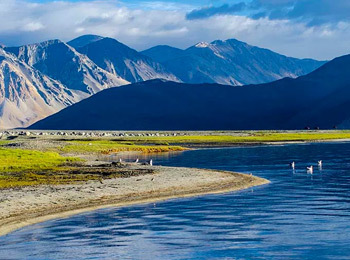 The route from Likir to Yangthang has two low passes, the Phobe La (3700m) and the Charatse La (3800m). Overnight stay in the tent. While going from Yangthan to Shukpachan, on the way, visit the Ridzong monastery, surrounded by beautiful hills. 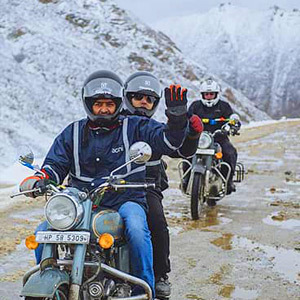 After a tiny pass, you will slide down towards the Hemis Shukpachan. Overnight stay in the tent. This particular part of the trek has been chiseled out from the Ochre rocks into a balcony. Climb towards, two passes at an altitude of 4000 m. Reach Ang. Then arrive at Temisgang, the ancient capital of the Sham Kingdom as well as its monastery. Night stay in the tent. On the morning of day 7, visit the monasteries of Lamayuru and Alchi. Post breakfast, take a bus ride back to Leh. Overnight stay at a Leh hotel.